Many young entrepreneurs in India today look for good business ideas. They have money but they are often looking for good business ideas. Are you one of them? Are you looking for good business ideas in India up to 1 Cr investment? If yes, then you are at right place. Today we will unfold very good business ideas in India with investment up to 1Cr. Starting food or restaurant business is very good idea. To start this business you can purchase existing restaurant or plan to open fast food chain like “pizza hut”. If you want to go big with fast food chain than 1 Cr is not enough you need additional capital investment. Establishing business in food industry will take some time but believe me it is fastest growing evergreen business. Another good reason for staring food business is future industry growth. Food industry in India is growing rapidly. Current worth of food industry is Rs 2,47,680 crore and it is expected to grow at the rate of 11% to as per National Restaurant Association of India (NRAI). Setting up pharmaceutical manufacturing business is another very good idea. This idea requires skill knowledge and lot of patience. Initially you need to start from manufacturing generic rare drugs at smaller level and then expand the scale. This industry gives huge margin. But also demands good amount of investment to setup lab, distribution system etc. Another very good business idea is to open business of diamond processing or trading of gold jewelry. In India people are crazy about jewelry and gold. They purchase gold and jewelry on every occasion. Gold or diamond jewelry business requires good amount of capital, but at long run this business can give good returns. You can think of starting local transport or car rental business. This business idea require good amount of investment and manpower. You can purchase couple of luxurious car and Volvo bus and rent it with higher amount. Before starting this business you must carry out market study about local market and competition. Money lending is high risk high return business. According to me this is the best business, but this business requires backup and alternative arrangement to deal with loss of capital or defaulters. Margin and risk both are very high in this business. Another good business idea is to do crowd funding for startups. You can become partner in good startup and start earning revenue. Prior to doing funding you have to be very careful about selecting right startup having good potential to generate money. 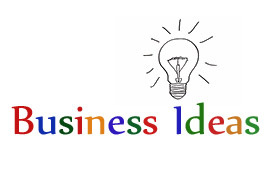 So, If you have money which business idea you will prefer and why?